Every seven seconds an employee suffers a work-related injury. The interesting part about this shocking statistic is a majority of these types of injuries are preventable. In 2018, overexertion and falls in the workplace made up 52.6% of all workplace injuries resulting in $30.8 billion in workers compensation costs. The manufacturing industry is no stranger to workplace injuries, ranking as number three on the National Safety Council's list of occupations with the highest risk of workplace injury resulting in lost days. Reaching is one of the main causes of overexertion injuries for manufacturing employees. However, these types of injuries are preventable. Ergonomic and biomechanic best practices are powerful resources to create a safe work environment for all employees. This article will look further into reach zones and their impact on the manufacturing industry. A comfortable work environment is key in the manufacturing industry; extending body parts past their comfort zone to complete work can directly result in employee injuries and impact the company's profits. 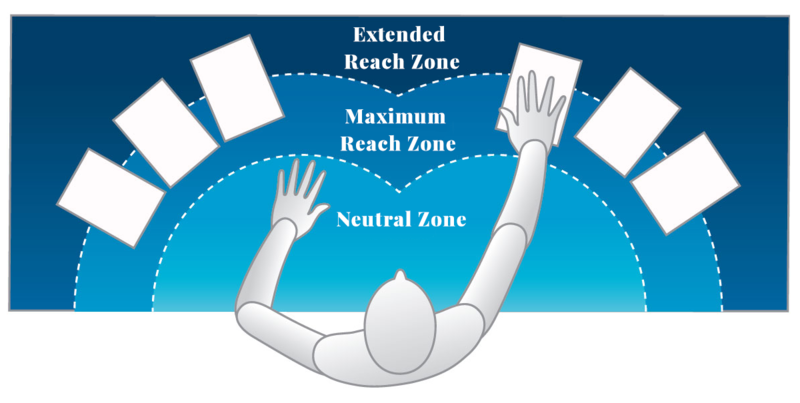 Reach zones are vertical and horizontal locations where work is done and is divided into three zones: neutral zone, maximum reach zone, and extended reach zone. These zones will vary based on the employee’s workstation but can be adjusted to any space where an employee works. Zone 1 is considered the neutral reach zone and is the area on the horizontal/vertical plane within easy access of a bent elbow. This zone is where work is being done and is the most comfortable. When employees reach outside their neutral zone, the risk of musculoskeletal disorders increases which can result in lost work time and increased medical costs. Keeping work within an employee's neutral zone also increases efficiency and productivity - staying close to your work decreases wasted time and helps employees work faster and safer. Zone 2 is the locations that can be reached by extending the arm. This zone is where employees store items within reach of their fingertips. These items are easy to reach but not utilized on an everyday basis, being stored just outside the neutral zone. If these items are used on a more frequent basis, they should be moved into Zone 1 to prevent overexertion which can lead to workplace injuries over time. Zone 3 is considered the extended reach zone and can only be accessed by extending the elbow or bending at the waist. Items in this zone should be rarely used due to the amount of effort required. The reach position is not comfortable and if repeated continuously can lead to adverse medical conditions such as lower back or shoulder pains. This is the final zone and any items outside of this area should be put away in storage. Why are reach zones important? Every ergonomics process wants to achieve an 'easy reach zone' for all employees, whether in a corporate office or a manufacturing facility. Think of an 'easy reach zone' as a personal cockpit, where employees are surrounded by every resource they need to complete their work in a comfortable manner. Any resource outside of the employee's personal cockpit can increase the risk of overexertion, leading to workplace injuries which hurt productivity and profits. Reach zones set barriers where employees are cognizant of their work behaviors and how it can impact their health over time. If an employee is constantly having to reach to complete daily tasks, an assessment can be done to move these resources closer to the employee and possibly move other items away which are used less frequently. In the end, the ultimate goal is to provide a comfortable workstation for employees, lowering injury risks and increasing efficiency at the same time. 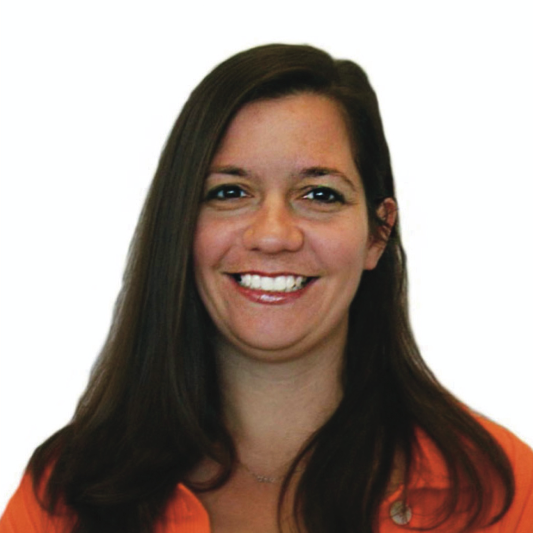 How Can Companies Reduce Reaching? A strong ergonomics process is the best way to lower the risks of overexertion injuries related to reaching. When it comes to creating a workplace culture that values employee safety and health, there are three keys to increasing productivity and decreasing worker injuries: (1) commitment from leadership, (2) allocating the needed resources, and (3) directly engaging employees. For any ergonomic process to be successful it is imperative that management is committed and active in supporting reach zone best practices. A top-down approach, where leadership displays a commitment to changing behavior, goes a long way in engaging employees and making sure the best practices are adhered to for the long term. Without management commitment, ergonomic best practices become only a compliance checkbox rather than a cultural effort to lowering workplace injuries and their impact on the bottom line. One of the greatest commitments leadership can make to their manufacturing employees is by allocating resources to help them be more efficient and safe in their respective jobs. Training on reach zones, updating workstations based on ergonomic research, bringing in ergonomics experts and moving employees around to prevent repetitive motions are all ways resources can be allocated to prevent workplace injuries relating to overexertion. Without the proper resources, employees do not possess the tools needed to increase productivity and safety at the same time. Engaging employees to become involved in their own work is not only empowering, but leads to increased employee engagement. In today's business world this is a treasure many companies overlook. Employees on the ground floor have a wealth of information on how they could perform more efficiently or ways to reduce risk to themselves and others. Benefits of including workers in establishing ergonomic processes include enhanced worker motivation, added problem-solving capabilities, increased change adoption, and greater knowledge of the overall workplace. Getting employees involved early and often in any ergonomic process leads to many more rewards than risks over the long term. The first step in management commitment is acknowledging that these safety measures are imperative to work environments. Resource allocation is where Work-Fit comes in. Our ergonomic experts perform a complete assessment of your company’s work environment to create detailed reports on how day-to-day work stresses different parts of the body. From here we create custom plans and engage with your employees on best practices for injury prevention. Reach zones are very important to workers in the manufacturing industry. Through proper educational resources and training, employees can be made aware of these zones and how their work interacts with each one. This leads to greater employee awareness of the impact of their work on only their own health, but the overall organization as well. Reach zones can play an active part in decreasing the $13.7 billion in workers compensations costs attributed to overexertion injuries and help provide a safe working environment for manufacturing workers across the globe. If you’re interested in learning more about how we can help increase your company’s bottom line, contact us here today!